Ex Straitjacket Fits songwriter Shayne Carter's Dimmer debut album 'I Believe I'm a Star' gets an LP release for the first time. The title has the feel of a mantra about it, as if it might be something Shayne Carter has repeated to himself during the seven years since he last made an album. It's been so long that the man who was once hailed as this country's most likely rock star now has to reintroduce himself. Not only that, he has completely altered the parameters of his music. His previous band, Straitjacket Fits, broke up without fulfilling their promise as the last great hope of Dunedin guitar rock. But Carter could have ridden the momentum they created by promptly launching another axe-wielding line-up. Instead he cleared the decks, and began a long process of finding, and then refining, a whole other concept. Right from the tentative clicks and pops of 1996's single "Don't Make Me Buy Out Your Silence" it was apparent that Dimmer would be no Straitjackets II - it was hardly even a band. In place of the classic two guitars/bass/drums configuration were programmed rhythms, computerised textures, paintings in feedback. Had rocking out had become too easy? It was as though Carter was challenging himself to find a music that had the power of a rock band without resorting to the traditional tools. "Silence" was a start, still after what translates as a lifetime in rock years, I Believe You Are A Star is the full programme. 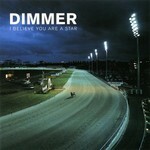 For Star, Dimmer is nominally a two-piece: Gary Sullivan (obscurely credited with drums and fruit) and Carter, who does almost everything else, with notable but hardly essential cameos from the likes of Bic Runga (an understated backing vocal) and Cassette's Thom Watson (a blast of trumpet). The computer is the primary compositional tool here. Harmonic figures circle repetitively, vocal lines are spare and dislocated in an electronic landscape. Like hip-hop, the music seems to be led by the rhythms. Carter doesn't make it easy, and yet the more you listen the more it makes sense, until ultimately the jittery beats and fragmented melodies are swimming in your head like pop songs. And there are threads here that will lead you all the way back to the Straitjackets. Always a sucker for the big drone, Life In One Chord (the title of an early Straitjackets' disc) had, by the end of that band's life, become a credo. Carter was writing mostly in modes, where textures and melodies moved about over one constant underlying chord. Almost all of the songs on Star follow this formula, and it is one in which Carter has become an expert. He knows it is easier to make a listener respond with a grand sweeping melody or gut-wrenching chord change; he's done it himself many times, from "She Speeds" to "Bad Note For A Heart". But it's more hip to move the listener by subterfuge, where a slinky riff sneaks up behind you and won't let go, or a snaky figure gets under your skin and wriggles until you're scratching. In its eleven tracks, I Believe You Are A Star does this again and again. And those who hailed Carter as the last guitar hero needn't be disappointed either. On repeated listening, one realises there is much more guitar here than initially appears. But instead of what Carter once called "the anthemic school of glory chords", you'll find looped riffs that peck and scratch like something out of Sly Stone, shards of notes that might be the fallout from a Hendrix detonation. Of course Carter isn't alone in this brave new world of virtual rock. It's similar to the one Radiohead shifted into with Kid A, that Portishead have inhabited from the start, and that German groups like Can sketched out decades ago. One might even be tempted to see Carter's electronic shift as opportunism, latching onto post-rock electronica before the rock 'n' roll boat goes down forever. But it's not really like that. As Carter sings in just one of the album's many enduring cuts, "it's all evolution". Dimmer's debut has been a long and perhaps difficult time in the making but it emerges with its own uneasy beauty. (Nick Bollinger) Originally published in The Listener on June 9, 2001.